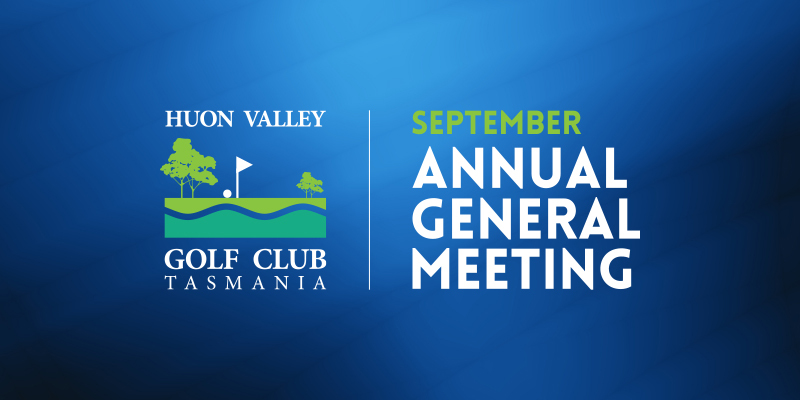 The Huon Valley Golf Club’s Annual General Meeting on Saturday September 22 saw a good turnout with 41 members attending. Presentations were made by the President, Captain and Treasurer. The fee structure for the coming year was adopted as were the previously circulated changes to the Club’s Constitution.